Our CLC Block Hardener can make ready CLC blocks for dispatch by reducing curing time to more than 1/3. No need of Steam Curing. introducing New hard & shine silicon polybaxtriol hardner .. now no need to spray for interlocking paver block ..only put our hard & shine 100 grams hardner in 50 kg cement top layer mixture... you will get ultimate finish like marble & super strength . advantages of our hard & shine super hardner plasticizer 1. Polycarboxylate Ether has highly reduced the capability of water and its has complete colorless properties. 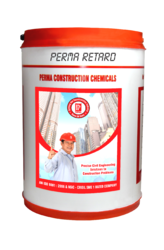 - To produce high strength, high grade concrete by substantial reduction in water resulting in low permeability and high early strength. - To produce high workability concrete requiring little or no vibration during placing. Advantages Improved workability – Easier, quicker placing and compactipon. Effective against immature and mature worms, round worms, lung worms, tapeworms, Adult Liver Fluke, Ovicidal, Providing nutritional support, preventing from diohrea. 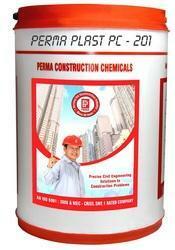 40% and 50% pc based super plasticizers for concrete. It is high early strength & much faster curing , faster & easier de-molding from molds along with superior surface finish , almost zero breakage of edges proper forming of spacers. ORISIL Polycarboxylate superplasticizer PLCS-90 is a kind of powder water reducing agent prepared by liquid special-structured polycarboxylate superplasticizer through exclusive spray drying process. Polycarboxylate superplasticizer powder is a green environmental product with great performance in workability and mechanical strength.